After the demonstration event of the Radeon RX480 we all knew that AMD was not shooting for top-notch performance. Instead we were to get video cards with excellent performance and much lower power consumption. This is especially true for the mid-range Radeon RX 460 – a card based on the Polaris 11 GPU that comes with 1024 stream processors and a 128-bit memory bus. 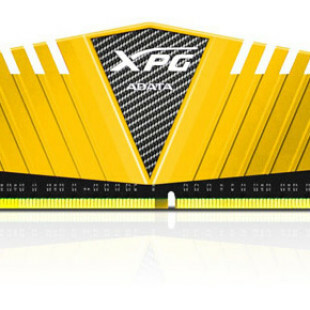 It is estimated that this card, equipped with 2 GB of GDDR5 memory, will cost just around USD 100. As to performance the first benchmark results of the Radeon RX460 have surfaced up and they show what we already know. In 3DMark 11 the card gets around 7500-8000 points, which is the same what the Radeon R7 370 (also known as Radeon HD 7850) has to offer. Yet, the RX460 needs just 75W of power and costs around USD 100, while the R7 370 needs 110W of power and sells for USD 140 – USD 170. In CrossFire two RX460 cards reach 13 000 points, which is what a single RX470 achieves. Of course these results are preliminary and they also depend on the test configuration and the video driver used. There’s no doubt that things will only improve with time and the new AMD Radeon RX generation has every chance to become a new huge market hit.